Drew Hutchison vs. Drew Anderson, a battle! Reading game in trouble- Raining and cold up here. Snow in the mountains. Wunderground shows mixed precip in Portland. Mostly sunny (light overcast filtering the full sun) here in suburban Philly, temperature currently about 25˚ celsius (think 77˚ fahrenheit). You're seeing the effects of what was a rainy frontal passage here last night. Nice afternoon - I just spent some time digging and raking a planting bed for strawberry plants. But Reading is playing at New Hampshire, right? You're right. My bad - not that it makes much difference to the weather. It is 36 degrees and raining lightly in Southern NH right now. bad night for pitchers. As of now, the game is still on! A fair number of Phillies prospects on the top 10 youngest lists. BTW the youngest player in the EL is the other Luis Garcia. Nats aggressively moved him to AA after a 2-level year last year. Less than half a year older than our Luis Garcia. Baseball America looks at the youngest MLB players and the youngest MILB players. 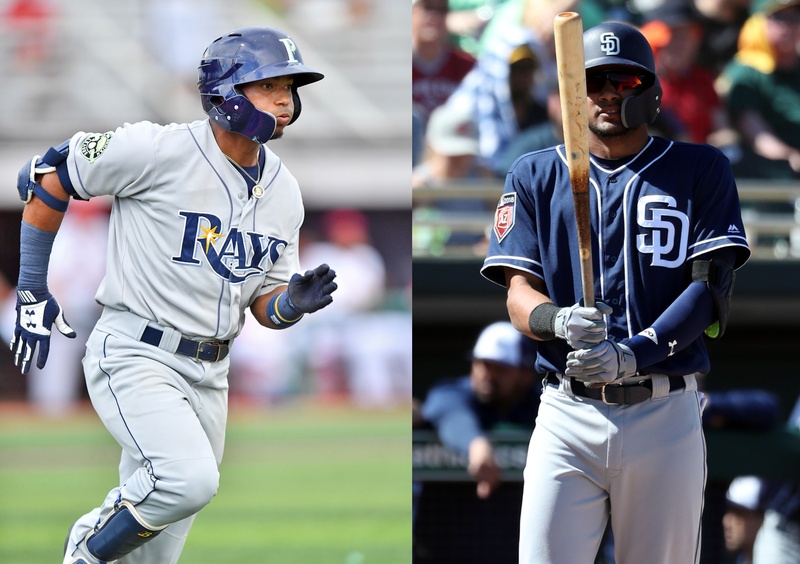 This look at the youngest players in the minors includes anyone on the active roster as of Opening Day 2019. Guess what, gang....Alec Bohm has 3 hits tonight. I repeat, Alec Bohm has 3 hits tonight!!! And Cozens has both a grand slam and a stolen base. 3 close wins tonight. Nice to see Bohm with a multi-hit game. Haseley seems to be in quite a funk. Solid pitching from the LV bullpen. Drew Anderson struggling, but didn't implode after the first 2 innings. Reading with a combined 1-hitter in their 2-0 win. Not much offense for either team sometimes means a pitcher's ump. Lakewood makes a 4-run inning hold up. SWB-LV game saw all the runs scored in first two innings. Pitching dominated last seven innings. Good to see scoreless two innings each from Arano and Pazos, both of whom may see time with the big club sometime later this season. Seeing Kevin Gowdy in a box score is nice. numbers were blah but it's a start.